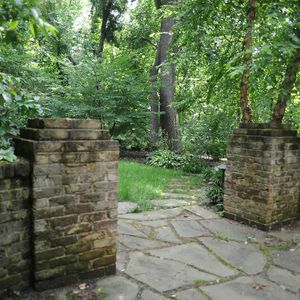 Sunday, November 3, 2019 1–2:30 p.m.
Michael Jensen and a design team from Unity Landscape Design/Build will help you plan for garden circulation and unique features, design “rooms” for outdoor living, choose materials for patios and walks, and incorporate sustainable practices. Garden Hardscaping is the final program in the Native Landscape Design Series. Other programs include Designing with Natives (April 7), Native Plants: Planting & Care (May 5), Native Alternatives to Invasives (June 9), and Building Diversity in the Garden. Click on the program names for information and to register.